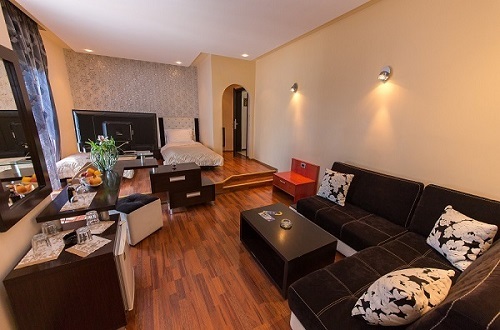 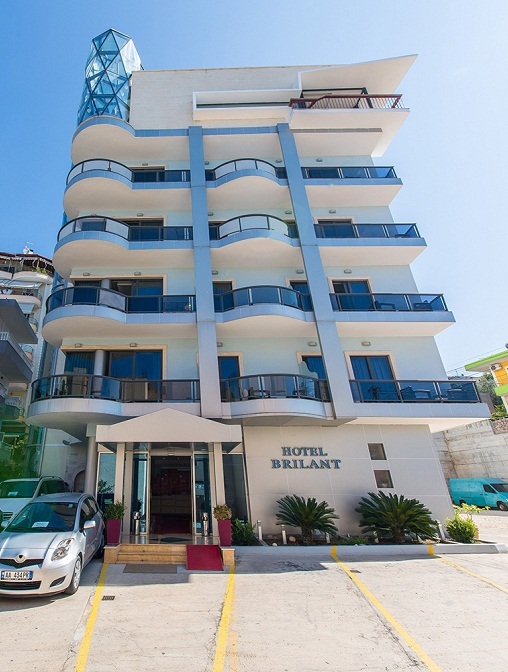 Brilant is a modern 4 star hotel located in the beautiful area of Saranda, on the south coast of Albania. 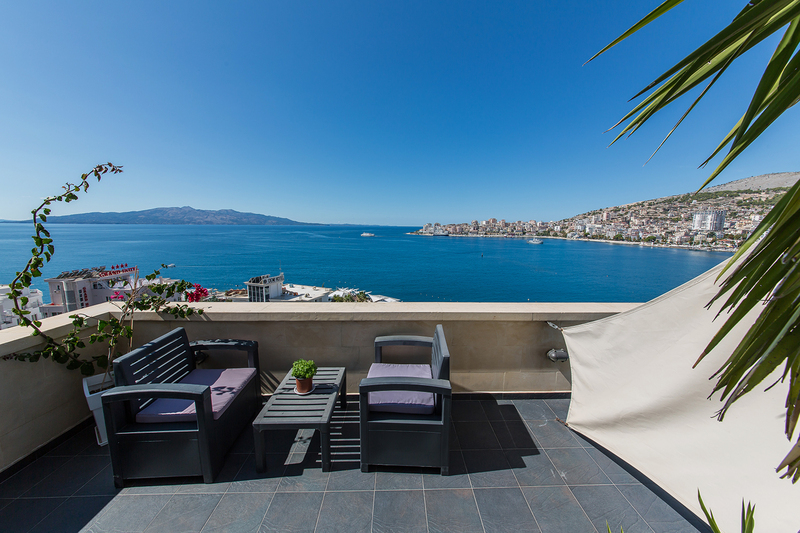 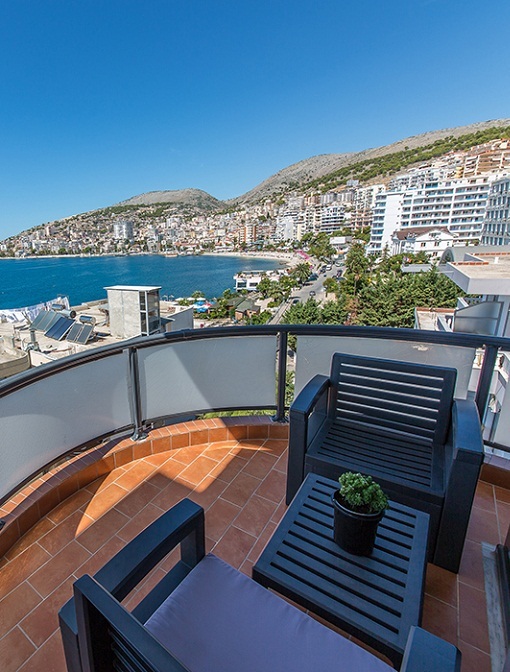 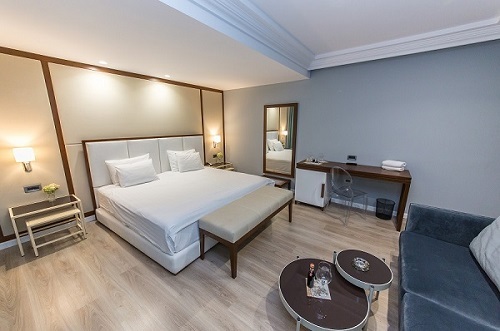 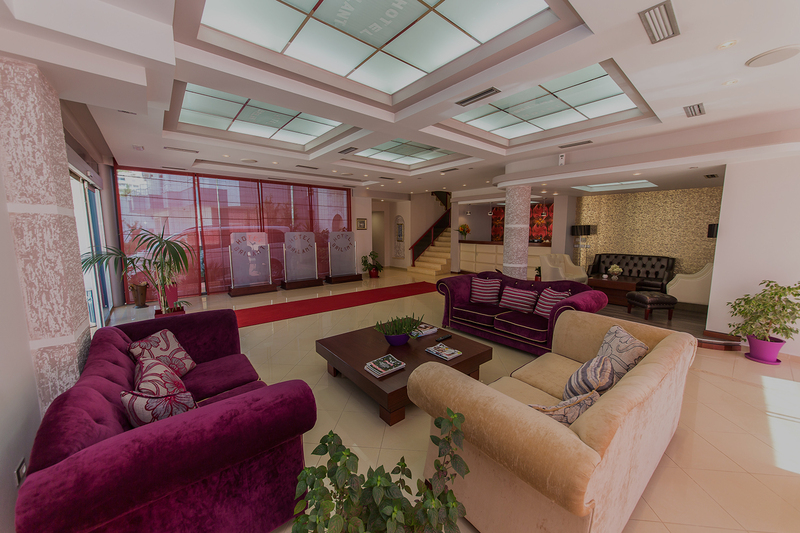 The combination of the excellent location, the hotel facilities and our friendly staff, have established our hotel in the TOP of holiday choice of Saranda. 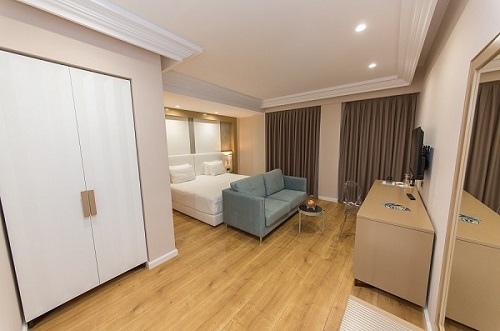 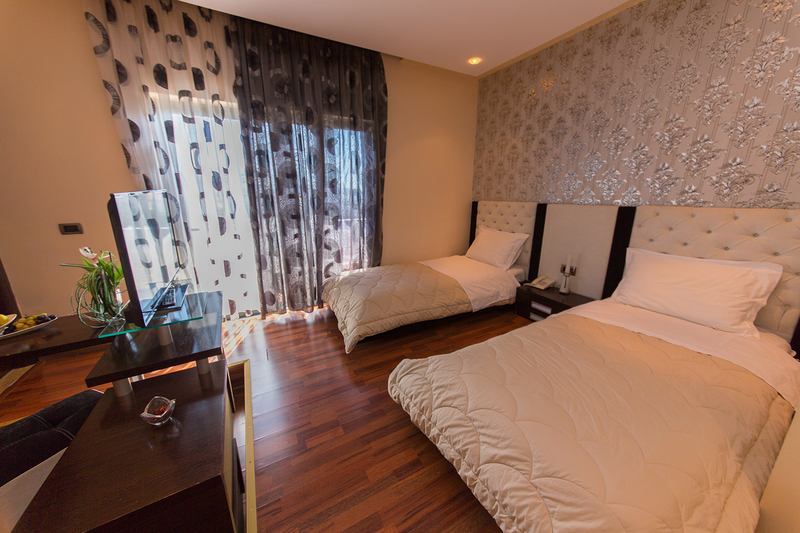 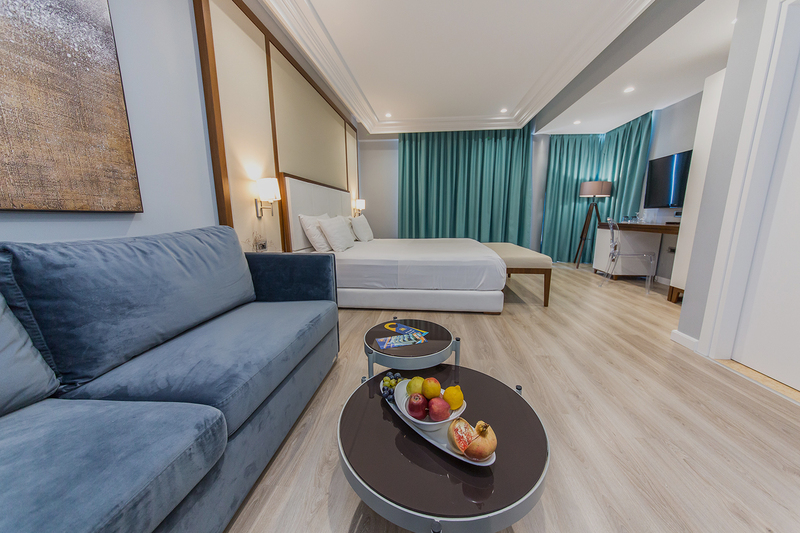 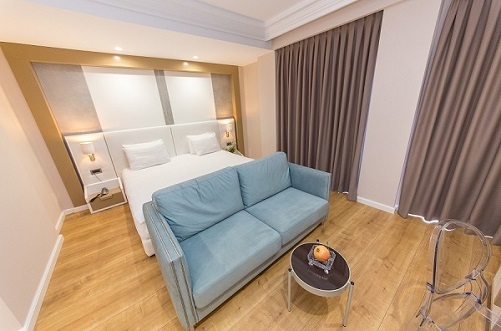 In the variety of rooms, choose your favorite, for a relaxing & comfortable stay. 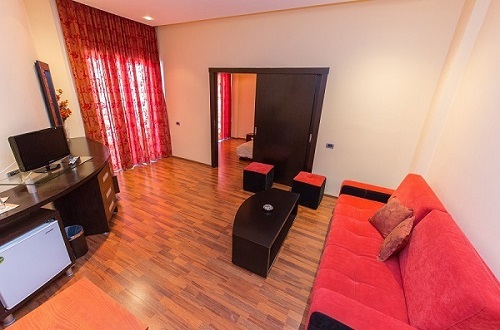 The room is equipped with a double bed and a sofa bed, and is ideal for families with one or two young children. 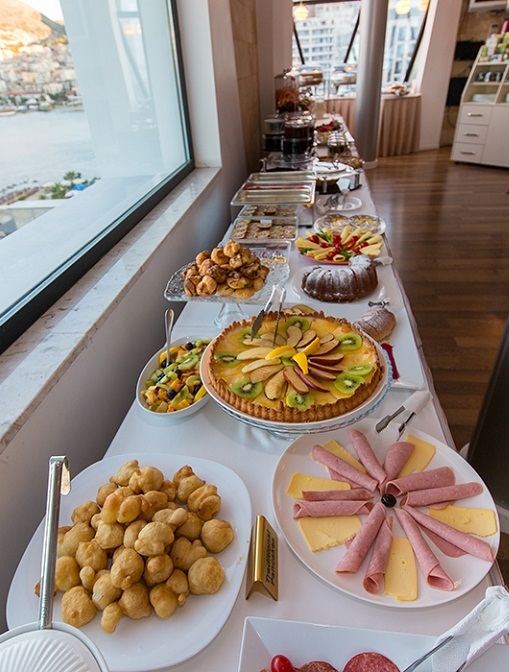 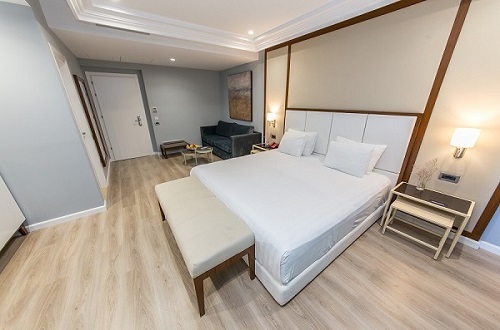 This room is large and bright, with sea view..
At “Brilant” Hotel, besides accommodation in comfortable rooms, you will be able to enjoy the breakfast on the fifth floor as well as the fantastic sea view.